Update 3rd Dec 2013 – I discovered the internet’s name for list-articles is – duh! – listicles and duly updated my post to use this word. Partly because I like the sound of it as it reminds me of the word icicle (who doesn’t love icicles) but if I’m going to be honest it was mostly for SEO reasons. It seems these days all the websites I read are stuffed with articles entitled ‘Top 5 X’ or ’10 reasons Y’ or some variation on that theme. It started to bother me and so after I happened read “6 things to help you get over your frustrations” and point two recommended I air my grievances, I decided to send a plea out into the ether. What has this got to do with travel? Well, travel bloggers are some of the worst offenders on this front. So much so, I’m pretty sure there is a travel blogging school somewhere whose whole curriculum is basically: Lesson 1: get a U.S.P. ; Lesson 2: find your ‘voice’; Lesson 3: write articles with lots of headers, preferably numbered and preferably a list of 5 things. Then again, maybe I’m just bitter because they rejected my application. It’s not just amateur bloggers, though, who are guilty; even paid professionals are jumping on the bandwagon. Everywhere I go reputable sites are passing off these lists, which look like they could be the outline of an article, as finished articles. In the last few days, as the heat under my collar over list-articles – or listicles as the internet has naturally dubbed them – has been building up, I’ve been spotting them everywhere. Not just hidden in the magazine, opinion or blog sections but rocking out on home pages web-wide. Meanwhile the BBC has boiled down the Euro crisis to “Six burning questions for Spain” on its Business front page. The Independent has a whole tab in its main menu dedicated to pointless best-of lists and in one most-shared listicle has the audacity to recommend that travel is something that students should do without [See for yourself: 11 expensive things students just don’t need]. Of course, I’m sure there are 5 good reasons why writing listicles is a great idea. They’re easy for people to read, they’re eminently click-uponable and all those little titles are great for SEO. And yes, I admit it, I can’t always resist clicking on “10 Things Every Traveller Should Know”, “The Top 5 Ways to Lose Weight” or “The 5 Best Restaurants in New York”. It’s true, some mornings I don’t feel like pairing my coffee with a 3000-word, in-depth analysis of the situation in Libya, I just want to be punched in the face with five simple points. So, “5 things..” you’re on my merde-list today and here’s why! Maybe it’s my fault for expecting more but if I click through on “5 foods that will change your life” I expect more than just a list of five vegetables and the reason for them making the list is because they’re -duh – healthy and nutritious. If you are going to do that couldn’t you at least have tried to come up with five vegetables that are not the exact same five vegetables I would have named without even reading the article? One of the articles that fuelled this rant was a travel blog, which shall remain nameless, that drew me in with a tweet along the lines of “The 5 best things to do in New York”. Interested to see if there was anything cool in the list that we could check out on our next visit, I clicked. The blog listed five things even someone who’s never been to NYC could have named with no effort – Central Park, Broadway, Empire State, etc. I was so disgusted I actually said “A.Y.F.K.M?” out loud – yep, in its acronym form – with some vocal fry thrown in for effect. If you’re going to write a list and expect people to spend time reading it, is it so much to ask that you put a little thought or creativity into it? Some originality? Let’s not just blame the writers though. There’s a reason why a plague of listicles has been rained upon us. It’s because we, the readers, love them. In these times of limited time, articles which can be swallowed whole in 30 seconds – come on, you don’t actually have to read the points, just scan the titles – seem perfect for the already-overloaded brain. So we click on them, we tweet them, we quickly promote them to the ‘Most Shared’ lists of the websites we read where they linger in self-perpetuating popularity. Oi, readers! Wanna try clicking on something that doesn’t have a number in it? Your 10 favourite? Yes, sure, let’s hear them. The 10 best? Well, how exactly did you come up with that? 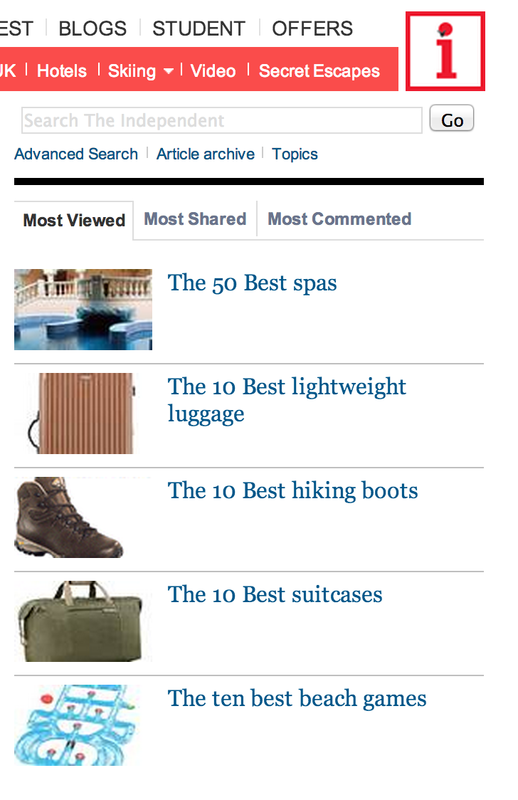 Best-ofs are my least favourite kind of listicle, especially in the travel domain. Best hotels, best beaches, best street food, best this, best that, best everything. But what does best even mean? Travellers often spend way too much time researching and trying to make the best choice on travel, accommodation and food so a ready made best-of list can be quite tempting. Sadly though, the author rarely deigns to reveal the intricate details of the complex scoring system they must have employed or the lifetime of research that must be behind their claims, leading me to conclude the obvious: your list of 10 best restaurants in San Francisco is nothing more than your subjectively-rated favourites out of the handful you’ve visited. I recently read a blog that made me laugh. Not because it was funny but because the article heralded “the 10 best beaches on Arbitrary Island,” an island on which there are only 14 beaches (to avoid naming names I’ve invented a similar example). Ok, it did deliver on its promise of 10 beaches but I couldn’t help wondering what those four other beaches had done to be left off the list! It always makes me cringe when an article promises “5 ways how to” and then goes on to provide 2 ways how, 1 way how not to and 1 miscellaneous point that doesn’t qualify as a how-to. I always feel like a chump for reading because, yes, I did read all the way to the end before noticing that you only delivered four out of your promised five points. It’s as if after a couple of bullet points the writer went for a coffee and when they came back they forgot what the topic of the list was meant to be. Once you’re looking for them they become obvious. This example’s a little nit-picky but point two in the Washington Post’s “5 things we learned from watching Obama on Leno” is just something Obama did not something we learned. Technically it’s true, by watching we learned that he made a direct pitch to women, but you may as well also say we learned that Obama sat down during the debate or we learned that Obama said “Good Evening” to Jay Leno. I’m convinced people must choose the number in the title before actually writing the list because the last point is almost always lame. It’s clear the writer is just scraping the barrel to make their list up to the required 5, 10 or other neat, preselected number. That said, these days a lot of writers don’t even bother taxing their brains to come up with those last elusive items. There’s a new abundance of “3 things” and “7 things” where the writer almost made it but ran out of points and, in a fit of genius, decided that there’s no need to be constrained by multiples of five. So there it is. 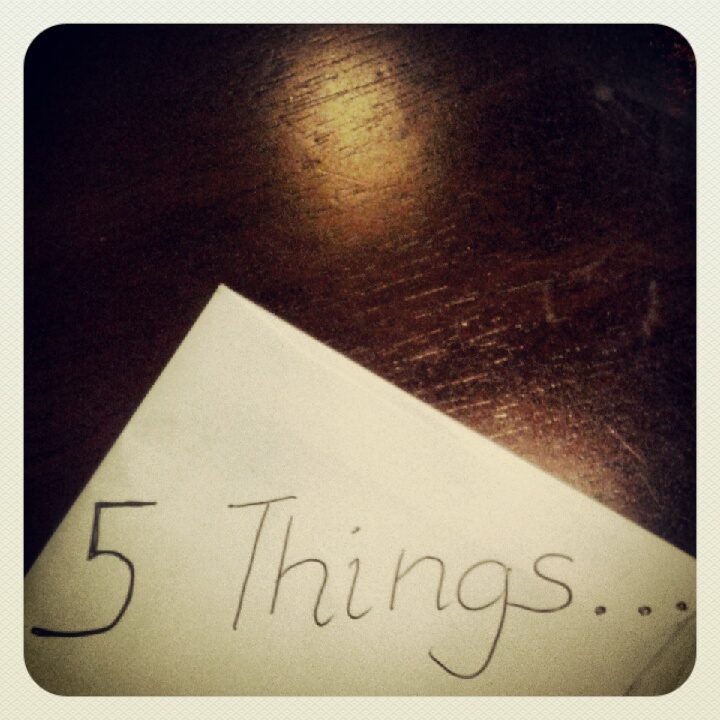 I truly hope you were as disappointed by my list of 5 things as I’ve been by many others! Lazy journalism. A PR’s dream.